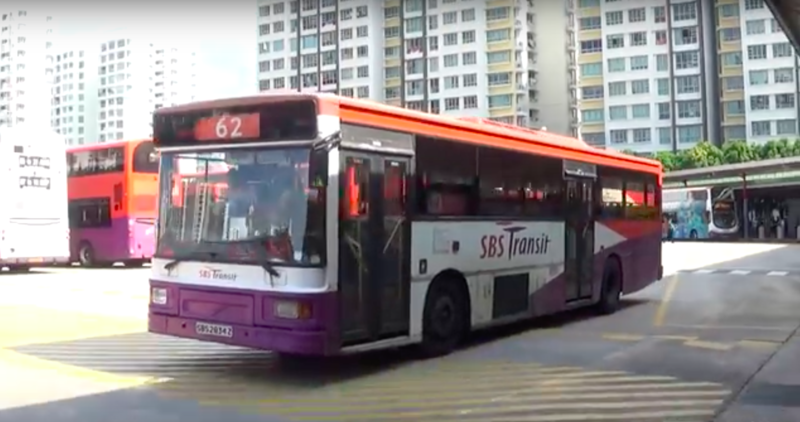 A drunk 41-year-old Singaporean man kicked an SBS Transit bus glass door and broke it, which resulted in him having to pay S$1,298.76 in damages. What would possess him to do such a thing? Because nature called. Chua Hock Lee apparently needed to pee so badly, and according to him, the bus driver refused to stop to let him off. On October 15, Chua was given a week in prison as punishment after pleading guilty to one count of mischief. His lawyers reported that Chua already paid the $1,298.76 in damages to SBS Transit. The events that led up to Chu breaking door were fairly normal circumstances. On June 8, 2016, Chua went out and enjoyed some alcoholic drinks at a coffee shop in Bedok with his wife and some of their friends. Before midnight, after they had some drinks, he and his wife went towards Bedok Bus Interchange where they boarded an SBS Transit bus to take them back home. Things started picking up on the bus. After the driver had to stop in a one-way lane as the cab in front of it was picking up a passenger, Chua apparently became difficult and started swearing and insulting the driver. The driver explained why they could not move forward, but Chua still would not let up with swearing and hurling insults at the poor driver, who was only trying to do his job. Because of Chua’s drunken outburst, other commuters on the bus deliberately moved away from him. This is when things became worse. Apparently, before the driver was able to open the rear door of the bus, Chua had already been kicking it repeatedly, which made the glass door shatter, destroying it completely. Chus and his wife went to the front of the bus, and before they left, Chua rudely waved his fingers in front of the driver’s face, which made the bus driver angry. The driver reportedly chased Chua and his wife for a short time, but they managed to dodge the driver by running up the stairs of their flat on Bedok North Street 3. The driver, who was furious, was unable to do anything except report the incident to the police. Luckily for him, the bus’ CCTV camera had recorded everything. Chua’s lawyers spoke up against the accusations, saying that the reason Chua kicked the glass door so viciously was because he felt “nauseous and [had] an urge to urinate” while he was on the bus. The call of nature was apparently so strong that Chua just could not take it anymore. According to his lawyers, he had been pressing the bell to ask the driver to stop the bus and did not notice that the taxi had stopped in front of the bus to let passengers in. The bus stopping and the door not opening apparently made him very angry as he needed to relieve himself so badly. “In his intoxicated and uncomfortable state, [he] lost his temper momentarily,” said the lawyers. The excuse of being drunk and needing to urinate did not sit well with the prosecution, who reasoned that someone who urgently needed to pee would not have “burst into a tirade of profanity”. And what about Chua’s actions of waving his fingers in the driver’s face as he swore continuously at him? Chua’s disruptive actions have caused him an incredible S$1,298.76 in damages which, according to his lawyer, he has already paid in full to SBS Transit. The Penal Code classifies mischief that causes loss or damage amounting to S$500 or upwards as an offense, for which Chua could have been fined and possibly jailed for up to two years. Think about that before having a pee.